Having born in a country like India which has such rich and diverse culture we are all born story lovers. We keep hearing various mythological tales since childhood and keep building images in our mind. This book is an affirmation on all those tales that we heard as a child. 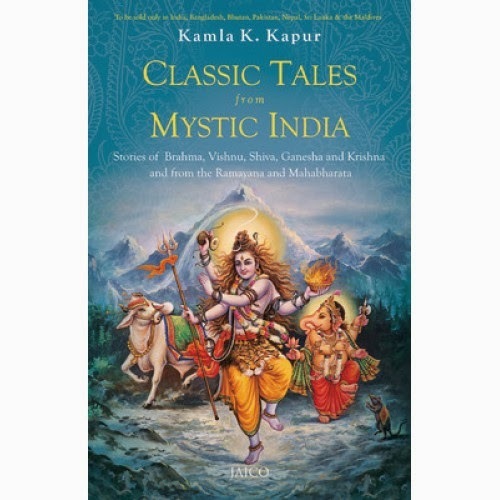 I picked up this book one for the connect it gave to my childhood, two mythology has always fascinated me for I feel with 33 crore God and Goddess the stories can never get over for us and three mystic India as a name allured me to read this book. Kamla K Kapur is currently working on her debut novel. The most eye catching feature about this book apart from its cover page is the insides. The pages are so beautifully done with elephant motifs, lotuses and such designs adorning the page. The table of contents has been neatly divided into the categories like stories of Vishnu, stories of Brahma, Stories of Shiva, Parvati and Ganesha, stories of Krishna and some parables, stories from Ramayana and stories from Mahabharata. Each and every story is uniquely narrated with eye-catching pictures adding more beauty to the narrative. The author has chosen some of the most wonderful stories from those times and described them in a prolific manner leaving you with a thoroughly exuberant! There were many stories which I was hearing for the first time and was pleasantly taken aback on reading their context to the whole of the story. This book is a must have in one’s collection not only for yourself to know your rich and diverse cultural heritage better but also for your next generations to come for them to know what a blessing it is to be born with history so beautiful and unique in this whole world. 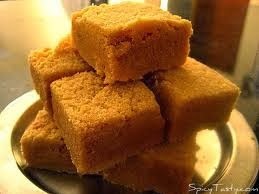 This book is like Mysore Pak, crispy, crunchy, sweet and sumptuous!